Seletaris, a freehold condominium built on a site that has the healing touch of a natural spring. Seletaris is designed to provide a lifestyle in the north of the island conveniently located at the intersection of Gambas Avenue and Sembawang Road, Seletaris is just west of Yishun New Town. Seletaris has full resort facilities including swimming pool, Tennis Court, Gymnasium, Function Room, etc. 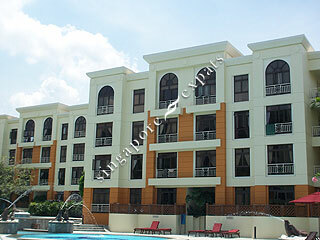 The pool is located at the heart of condominium compound and there is a children’s fun pool with water slide. Amenities can be found at the nearby Yishun housing estate. Seletaris is also near to many Shopping Centres like Sun Plaza, North Point and Sembawang Shopping Centre. Seletaris is accessible via the nearby Seletar Expressway (SLE) which leads to the Central Expressway (CTE) to the city. The Yishun MRT Station is also within 5-minute bus ride from Seletaris.